Told from Léolo’s point of view, this film, set in Montréal, explores the title character`s attempt to deal with a family seemingly gone mad. It is as if he is the only sane person on the screen. His brother, for example, responds to being beaten up by becoming almost addicted to growth hormone in an attempt to gain some muscle and his grand dad brings in half-naked girls to bite off his toenails. He also, in a brutal rage, nearly kills Léolo. It is natural in life, as in this movie, that people in these situations retreat into themselves and Léolo builds a fantasy world he can escape into. 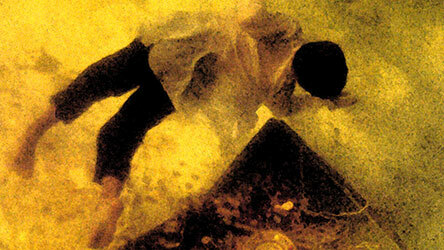 But, even here there is a surreal mayhem captured and created by director, Jean Claude Lauzon. Ultimately, of course, the line between fantasy and reality weakens and Leolo tries to murder his grandfather. 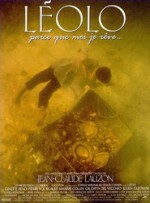 Léolo won a Genie Award for Best Original Screenplay, and Lauzon was named Best Director at the International Fantasy Film Festival. Singer Ginette Reno made her acting debut in this film.